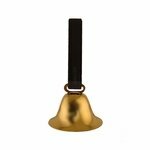 Sportsman Brass Dog Collar Bell with Nylon Loop. $5.95. I also bought the larger copper bell and love them both. 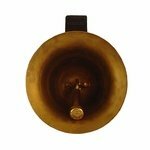 The smaller brass bell has a nice and pleasant ring. The farthest my whippet runs is about 25 feet ahead of us and I can still clearly hear it. Slips easily on and off his collar. Been worried about some bold coyote encounters. Also carry a mace gun and an air horn. "Love to be able to hear his location when he's working the thick stuff." Just like one I had for another Lab over twenty years ago. Love to be able to hear his location when he's working the thick stuff. "My sweet Schnauzer is now deaf, so this bell allows me to keep track of her on our large lot." My sweet Schnauzer is now deaf, so this bell allows me to keep track of her on our large lot. Works great, seems strong. Bought a similar one at an outdoors big box store (Bass Cab Mt.) for a little less money, and it broke in a week. This one is better. Nice item and fast shipping. "Clear tone and dog responds well." Clear tone and dog responds well. 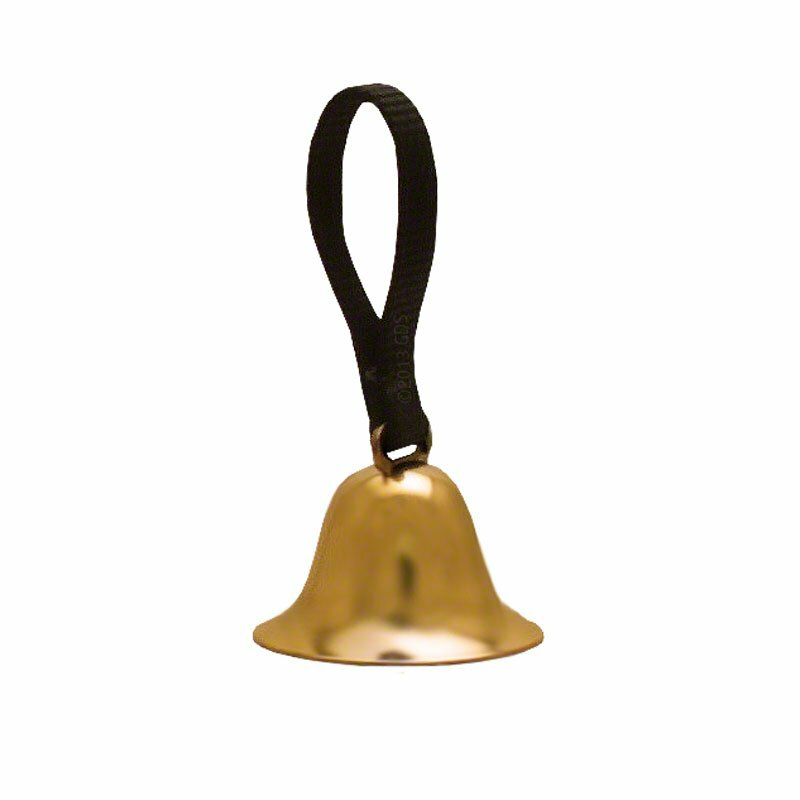 "I really like this brass bell." I really like this brass bell. The sound is crisp and sharp, and I feel it does not distract the dog in any way. Good product. Great tone. Wonderful product. Will order 4 more. "A little big, but very nice tone." A little big, but very nice tone. If it came with a snap on the strap so that I could snap it on quickly, it would be a 5 star. Sound is clear, but not too loud. Not quite loud enough for our use, which is alerting wildlife in a forested setting. A nice sounding bell in the low to moderate range. A larger size in the same style might have worked for us. It works really well on the more active English Cocker. Dinger does not seem to get hung up. Loop fits over an Orvis plastic clasp. "Loop is a little long for the puppy, but he's growing fast." Loop is a little long for the puppy, but he's growing fast. Not loud enough for my use.